With reference to the Modern Indian History, which among the following statements are related to Indian National Congress? Retired British civil servant Allan Octavian Hume Formed INC in 1885. The Congress was formed with the intention of discussing problems faced by the people of the country irrespective of caste, creed, religion or language. Formed in 1885 by Allan Octavian Hume, a retired British civil servant. Other founding members include Dadabhai Naoroji and Dinshaw Wacha. First session was held in Bombay under the presidency of Womesh Chandra Bonnerjee in 1885. First session was attended by 72 delegates from across the country. Viceroy of India at the time was Lord Dufferin who gave his permission to Hume for the first session. It was basically a movement of the upper and middle class, western educated Indians in its moderate phase. Second session of the Congress was held in Calcutta in 1886 followed by the third in Madras in 1887. Consider the following statements, with respect to the aim and demands of the Moderates? Indian representation in the Executive Council and in the Indian Council in London. Separation of the executive from the judiciary. Self Government status to India within the British Empire. Education of the masses and organizing public opinion, make people aware of their rights. Indian representation in the Executive Council and in the Indian Council in London. Reform of the legislative councils. Decreased land revenue tax and ending peasant oppression. Reduced spending on the army. Abolishing salt tax and duty on sugar. Holding the ICS exam in India along with England to allow more Indians the opportunity to take part in the administration. Development of modern capitalist industries in India. End of economic drain of India by the British. Repealing the Arms Act of 1878. Increasing spending on education of Indians. With reference to the Modern Indian History, which of the following statements are correct with respect to the success of moderates? They were able to sow the seeds of nationalism in the people. They reached the masses of the people. They exposed many draining economic policies of the British. Indian Councils Act of 1892 was the first achievement of the INC. This Act increased the size of the legislative councils and also increased the proportion of non-officials in them. They popularized ideals like democracy, liberty and equality. Leaders like Gopal Krishna Gokhale and M G Ranade were social reformers too and opposed child marriage and imposed widowhood. Moderates confined their activities with educated class people only. With reference to the modern Indian history, who amongst the following nationalists were the moderates? First president of the INC.
Lawyer by profession. First Indian to act as Standing Counsel. Founded ‘The Hindu’ newspaper where he criticized British imperialism. Also founded Tamil newspaper ‘Swadesamitran’. Co-founded the Madras Mahajana Sabha. One of the chief leaders of the Indian Independence Movement. Extremist Leader participated in the anti-Simon commission upsurge. With reference to the Extremist period, which of the following statements are related to cause of the rise of the extremism? The limitations of the moderates were the main causes of the rise of extremism. The partition of Bengal in 1905 opened the eyes of the Indians to the true colors of the British rulers. Other national movements like in Persia, Egypt and Turkey also motivated the Indian leaders. The failure of the moderate leaders in getting any significant results from the British authorities. The partition of Bengal in 1905 opened the eyes of the Indians to the true colours of the British rulers. Lord Curzon and his disdain for anything Indian also created resentment and anger against the foreigners. The Delhi Durbar held in 1903 when people had not fully recovered from the horrific effects of the famine that killed lakhs of people drew widespread condemnation. Events happening around the world also inspired the extremist leaders. Abyssinia’s successful repulsion of the Italian army in 1896 and Japan’s defeat of Russia in 1905 shattered the notion of European invincibility. Consider the following statements, regarding the Surat Split? Rash Behari Ghosh became the president in Surat session in 1907. The moderates wanted to drop the resolutions on swadeshi, boycott movements and national education. The moderates also wanted to drop the resolutions on swadeshi, boycott movements and national education. Rash Behari Ghosh became the president in the session which was held at Surat. Tilak was not even allowed to speak and this angered the extremists, who wanted to cancel the session. Both sides were firm on their demands and neither was willing to find a common path. The moderates then held a separate meeting in which they reiterated the Congress goal of self-government within the British Empire and to adopt only constitutional methods to achieve their goals. Consider the following statements, about the methods of extremists? The extremist leaders involved wider sections of people in the movement including lower middle class people. They were strongly against British imperialistic policies in India. They believed in sacrificing everything including life for the cause of the motherland. The extremist goal was ‘swaraj’. This, at that time either meant complete autonomy and freedom from British control, or a total Indian control over the administration but not necessarily a breakaway from Britain’s imperial reign. This was in contrast to the moderates’ demand of only an increase in the share of Indians in the administration and military upper echelons. The extremist leaders involved wider sections of people in the movement. They involved lower middle class people also. They did not stick to constitutional methods to protest and demand. They resorted to boycotts, strikes, etc. They also burned foreign-made goods. The Swadeshi movement gathered momentum in India because of the extremists’ support. This led to the establishment of Indian banks, mills, factories, etc. They opposed westernization of Indian society by the British. With reference to the Modern History, which among the following statements are related to the Partition of Bengal? Partition of Bengal done by Lord Curzon in 16th October 1905. Bengal occupied a very large area and the population rose to almost 80 million. Lord Curzon proposed the partitioning of the province as an administrative measure solely. Lord Curzon was the Viceroy of India from 1899 to 1905. The partition of the Bengal province came into effect during his viceroyalty on 16th October 1905. For administrative ease, the partition of the province had been proposed even before Curzon had arrived in India. The idea of using the Bengal partition as a political tool to undermine the growing nationalism in Bengal and other parts of India occurred later. As per Curzon, after the partition, the two provinces would be Bengal (including modern West Bengal, Odisha and Bihar) and Eastern Bengal and Assam. Bengal would also lose five Hindi-speaking states to the Central Provinces. It would gain Odia-speaking states from the Central Provinces. Eastern Bengal would consist of Hill Tripura, Chittagong, Rajshahi and Dhaka divisions. Its capital would be Dhaka. Bengal would have a Hindu majority and Eastern Bengal and Assam would have a Muslim majority population. Its capital would remain Calcutta. Consider the following statements, with the respect to the Partition of Bengal? The Indian National Congress protested this move to divide the province as it believed it is done on communal lines. The Swadeshi and Boycott movements in the national struggle started as a result of this partition. There was widespread political unrest in the province after Curzon announced the partition. Many people in Bengal regarded this partition as an insult to their motherland. There was a huge cry for the unity of Bengal. Rabindranath Tagore composed the famous song ‘Amar Sonar Bangla’ which later became the national anthem of Bangladesh. The Indian National Congress protested this move to separate the province on communal lines. Most of the Bengalis in the western part protested against this step which would also make them a linguistic minority in their own province. There would be more Odia and Hindi speaking people than Bengalis. Many Muslims welcomed this move since they thought that most Muslims, who were backwards in education and economic status in Bengal compared to Hindus, would benefit if they were in a majority. A few Muslims also were against the partition. People started boycotting British goods which had flooded the Indian market and had dealt a blow to the indigenous industry. The partition did succeed in creating a communal rift in the country and even contributed to the birth of the Muslim League in 1906. Popularly described as the Mother of Indian Revolution. Indian sociologist and represented India at the Stuttgart conference of socialists in 1907. Madame Cama unfurled for the first time Indian national flag on the foreign soil. Madame Cama had been popularly described as the Mother of Indian Revolution. She left India in 1902. She took active part in editing the Indian sociologist and represented India at the Stuttgart conference of socialists in 1907. At the conference, Madame Cama unfurled for the first time Indian national flag on the foreign soil. Due to her anti-British activities, she was forced to shift her residence from London to Paris. After thirty years of patriotic service in London, Paris and other cities of Europe, her friends succeeded in repatriating her to India in November 1936. She died on 12thAugust 1937. Consider the following statements, with respect to the objectives of the formation of league? To create Pakistan is the primitive objective for the league. After 1916 Muslim league became a nationalist party having same resolutions and manifestos as INC and participated in the nationalist movements. Post 1938, it became a typical communal political party with separatist aims and demand of Pakistan as a separate nation started in 1940. With reference to the Modern History, which among the following statements are related to the Annulment of Partition of Bengal? New provinces were created based on linguistic lines rather than religious lines. The capital of British India was moved to Delhi from Calcutta in 1911. Muslims were happy about the Annulment of Partition. Owing to mass political protests, the partition was annulled in 1911. New provinces were created based on linguistic lines rather than religious lines. Bihar and Orissa Province was carved out of Bengal. (Bihar and Orissa became separate provinces in 1936). A separate Assam province was created. Despite the annulment, the partition did create a communal divide among the Hindus and Muslims of Bengal. Muslims were unhappy that, losing of the Muslim majority in the eastern Bengal. With reference to the modern Indian history, which among the following statements are related to the Alipore Conspiracy? British government’s search for illegal arms in Calcutta. It led to the arrest of thirty-four persons including the Ghosh brothers. The trial came to be known as Alipore conspiracy case. The government’s search for illegal arms in Calcutta led to the arrest of thirty-four persons including the Ghosh brothers and their trial came to be known as Alipore conspiracy case. One of the arrested persons Narendra Gosain became the approver, but he was shot dead in jail before giving evidence. Of the accused in the Alipore conspiracy case, fifteen were found guilty and some of them including Barindrakumar Ghosh were transported to life. After the Alipore conspiracy case, Rash Behari Bose planned a nationwide-armed uprising with the help of Indian soldiers of the British army. However following the discovery of the plot by the police, Rash Behari Bose escaped to Japan & continued his revolutionary activities there. Indians were given membership to the Imperial Legislative Council for the first time. Discussions on foreign policy or on relations with the princely states were permitted. Two Indians were nominated to the Council of the Secretary of State for Indian affairs. In the provincial councils, non-official members were in a majority. However, since some of the non-official members were nominated, in total, a non-elected majority was there. It introduced separate electorates for the Muslims. Some constituencies were earmarked for Muslims and only Muslims could vote their representatives. The members could discuss the budget and move resolutions. They could also discuss matters of public interest. 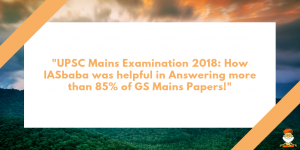 They could also ask supplementary questions. No discussions on foreign policy or on relations with the princely states were permitted. Lord Minto appointed (on much persuasion by Morley) Satyendra P Sinha as the first Indian member of the Viceroy’s Executive Council. Consider the following statements, with respect to foundation of the Home Rule League Movement? Tilak launched the Indian Home Rule League in April 1916 at Belgaum. Annie Besant launched the Home Rule League in September 1916 at Madras. The two leagues worked separately with the different ideology. There were two home rule leagues launched. They had the common objective of achieving self-government in India. There was an informal understanding between both the leagues wherein Tilak’s league worked in Maharashtra (except Bombay), Karnataka, Berar and the Central Provinces. Besant’s league worked in the rest of the country. Tilak’s league had its headquarters in Delhi. It had 6 branches. Besant’s league had 200 branches and was a loser organization compared to Tilak’s. The two leagues worked closely with one another. However, they did not merge to avoid friction between both the leaders. Consider the following statements with respect to the significance of the Home Rule league Movement? In 1917, the two leagues combined had around 40,000 members. The movement was able to garner a huge support from a lot of educated Indians. Many members of the Congress joined the league but there was no participation from the Muslim League. The Home Rule League functioned throughout the year as opposed to the Congress Party whose activities were confined to once a year. The movement was able to garner a huge support from a lot of educated Indians. In 1917, the two leagues combined had around 40,000 members. Many members of the Congress and the Muslim League joined the league. Many prominent leaders like Muhammad Ali Jinnah, Joseph Baptista, G S Kharpade and Sir S Subramanya Iyer were among its members. The moderates, extremists and the Muslim League were briefly united through this movement. The movement was able to spread political consciousness to more regions in the country. This movement led to the Montague Declaration of 1917 in which it was declared that there would be more Indians in the government leading to the development of self-governing institutions ultimately realizing responsible governments in India. This Declaration (also known as August Declaration) implied that the demand for home rule would no longer be considered seditious. This was the biggest significance of the movement. The Home Rule League was started by Bal Gangadhar Tilak in 1916 in Pune to retrieve the spirit of nationalism and a sense of self governance among the people. At the same time Annie Besant and Sir Subramaniya Iyer inspired by Irish home movement started a similar movement in Madras. Soon both leagues worked together. Their main objective was to establish ‘Home Rule’ or ‘Swaraj’ in India and to instil awareness among them. The Theosophical Society was an organization formed in 1875 by Helena Blavatsky to advance. After a few years Olcott and Blavatsky moved to India and established the International Headquarters at Adyar, in Madras (now Chennai). Hindustan Socialist Republican Association before 1928 was known as the Hindustan Republican Association. HSRA was rejuvenated by the ideologies of the Bolsheviks involvement in the Russian Revolution of 1917. The association was formed as an outgrowth of the Abhinav Bharat. Bhagat Singh, Yogendra Shukla and Chandrasekar Azad were the key functionaries of Hindustan Socialist Republican Association. The group is also considered one of the first socialist organizations in India. The association was formed as an outgrowth of the Anushilan Samiti. The name Hindustan Socialist Republican Association was implicative after a similar revolutionary body in Ireland. Consider the following statements, regarding the trial and execution of Bhagat Singh? Bhagat Singh and Batukeshwar Dutt were tried in the Assembly Bomb Case. While in Delhi jail, Bhagat Singh and Batukeshwar demanded that they be treated not as criminals, but as political prisoners. The trial and subsequent execution of Bhagat Singh, Sukhdev and Rajguru for bombing the assembly on 23rd March 1935 became a political issue. Jatindranath Das, who went on fast on similar grounds, died on 13th of September 1930, on the sixty- fourth day of the fast in the Lahore prison. The trail and subsequent execution of Bhagat Singh, Sukhdev and Rajguru on 23rd March 1931 become a political issue. They were hanged for Lahore conspiracy case and not Assembly Bombing. A resolution was passed by the Karachi session of the congress in1931 commending their brave contribution to the freedom struggle of India. Revolutionary association of Indians with headquarters at San Francisco. Nationalist organization operating from Singapore. Communist movement for India's freedom with head-quarters at Tashkent. Gadar party was also formed with the same aim. The difference of Gadar party from others was that it was founded by the Indian immigrants of United States and Canada. Lala Hardayal, Sohan Singh Bhakkna, and Taraknath Das were the founders of this party. Gadar party was dissolved after the independence of India in 1948. In which of the following states is ‘Chinnar Wildlife Sanctuary’ located? Chinnar Wildlife Sanctuary (CWS) is located in the Idukki district of Kerala. It has earned the name for only rehabilitation centre for star tortoise in India. The International Coral Reef Initiative (ICRI) is an informal partnership among nations, international organisations and non-government organisations to help protect coral reefs globally. 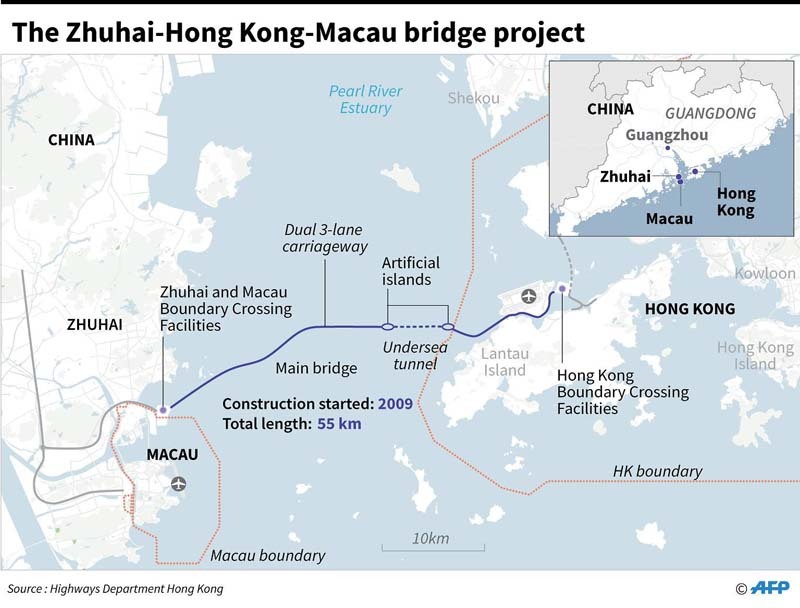 It aims to implement Chapter 17 of Agenda 21, Aichi Target 10 of the Convention on Biological Diversity’s 10-year Strategic Plan, and other relevant internationally agreed objectives and targets. It is the “only global entity solely devoted to coral reefs”. ICRI was established in 1994 at the initiative of eight founding nations: Australia, France, Japan, Jamaica, the Philippines, Sweden, the United Kingdom, and the United States. It was launched at the First Conference of the Parties of the Convention on Biological Diversity, held in the Bahamas in December 1994, and subsequently announced at the high level segment of the Intersessional Meeting of the United Nations Commission on Sustainable Development in April 1995. The Umru-Tyrso area is seen in news with respect to which of the following species? The Union health ministry’s Anti-Microbial Resistance awareness campaign urges people not to use medicines marked with a red vertical line, including antibiotics, without a doctor’s prescription. These medicines are called as the ‘Medicines with the Red Line’. In physics, redshift is a phenomenon where electromagnetic radiation (such as light) from an object undergoes an increase in wavelength. Whether or not the radiation is visible, “redshift” means an increase in wavelength, equivalent to a decrease in wave frequency and photon energy, in accordance with, respectively, the wave and quantum theories of light. 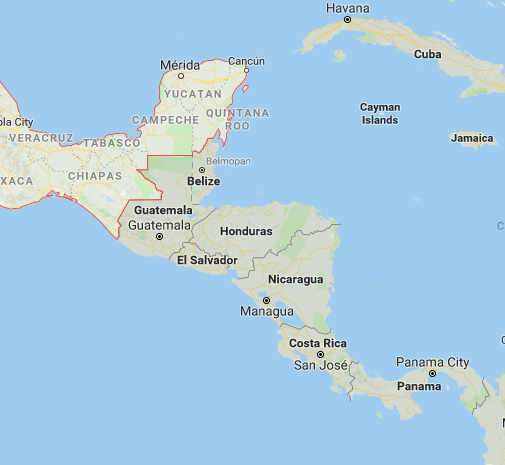 Which of the following borders Pacific Ocean as well as Caribbean Sea? 21 countries in the Indian Ocean Rim Association (IORA) recently adopted the Delhi Declaration. It is related to which of the following? Tackling pirates in Indian Ocean Region. Renewable Energy in the Indian Ocean Region. Port connectivity in the Indian Ocean Region. The declaration also calls for promotion of technology development and transfer, strengthening of public private partnerships in renewable energy and collaboration among IORA member states and the member nations of the International Solar Alliance (ISA). IORA member countries also resolved to collaborate with the International Renewable Energy Agency (IRENA). Which village beat 3.5 lakh gram panchayats across the country to emerge as the best rural local body under the Antyodaya scheme of the Ministry of Rural Development? Rural Development Ministry conducts a gap analysis of more than 3.5 lakh villages in the country. 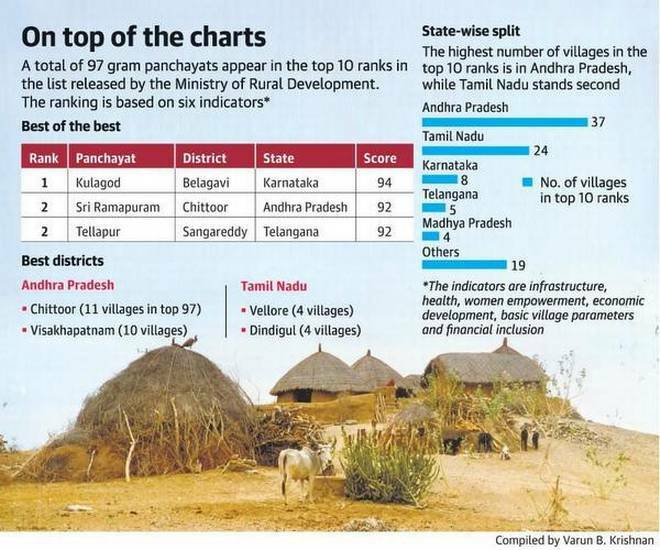 Kuligod in Karnataka’s Belagavi district is the country’s best developed village, but more than a third of the gram panchayats ranked in the top 10 are in Andhra Pradesh, according to the findings of Rural Development Ministry survey. Which country is planning to launch its own ‘artificial moon’ by 2020 to replace streetlamps and lower electricity costs in urban areas? China is planning to launch its own ‘artificial moon’ by 2020 to replace streetlamps and lower electricity costs in urban areas. Chengdu, a city in southwestern Sichuan province, is developing “illumination satellites” which will shine in tandem with the real moon, but are eight times brighter.